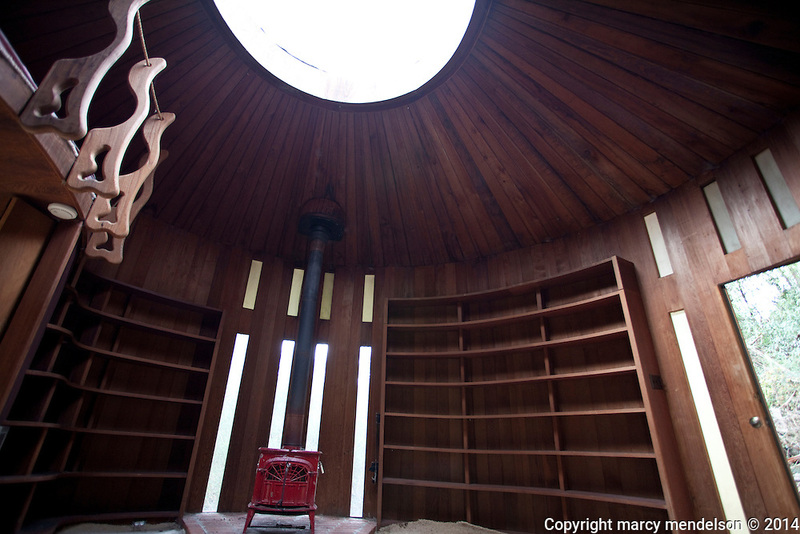 Alan Watts' library, one of the best preserved structures of Druid Heights, was a creative collaboration on design between Watts and founder Roger Somers. Part Zen, part industrial water-tower, the oculus skylight draws natural light into the circular room. Without National Historic Status, this and all other buildings on the site will be torn down when the last residents pass away.